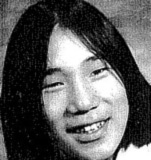 Anungazuk was last seen in Nome, Alaska on September 30, 1982. He has never been heard from again. Anungazuk was subsequently declared dead by a coroner's inquest, but his remains were never found. Updated 1 time since October 12, 2004. Last updated September 20, 2006; casefile added.